Cambridge University has had many famous graduates, but perhaps none is more famous than Isaac Newton (class of 1665). 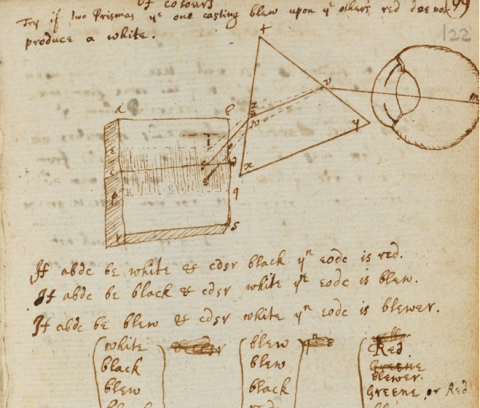 This week, Cambridge continues to honor Newton by opening a digital archive of Newton's personal papers, which includes an annotated copy of the Principia, the landmark work where the physicist developed his laws of motion and gravity. The initial archive features 4,000 pages of scanned materials (roughly 20% of the complete Newton archive), and eventually Cambridge will add material from Charles Darwin, another famous alum, and other scientific figures. In October, The Royal Society opened its historical archives to the public, bringing 60,000 peer-reviewed papers to the web, including Isaac Newton’s first published research paper. You can dive into this parallel digital archive here. Bonus: If you're looking to bone up on Physics, you can find many free physics courses in our big collection of Free Online Courses. Leonard Susskind's class on Classical Mechanics may be of particular interest here.